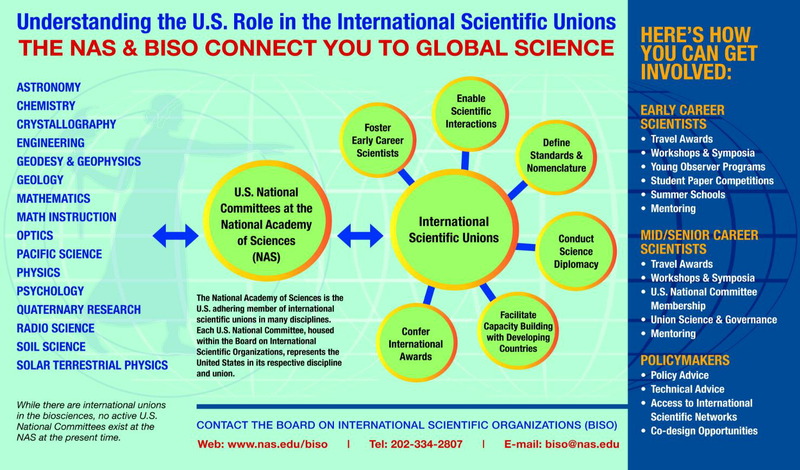 The Board on International Scientific Organizations (BISO) strengthens U.S. participation in international scientific cooperation through overseeing a network of U.S. national committees (USNCs) and working with a variety of projects connected to the International Institute for Applied Systems Analysis (IIASA), the International Science Council (ISC), and ISC-related unions. More details can be found on the About BISO Page. Follow us on Twitter at @NASEM_BISO! BISO strongly supports the ISC-funded, multi-union initiative, "Gender Gap in Science: A Global Approach to the Gender Gap in Mathematical, Computing, and Natural Sciences: How to Measure It, How to Reduce It?" This project seeks to bring attention to and raise the amount of participation by women in the sciences. 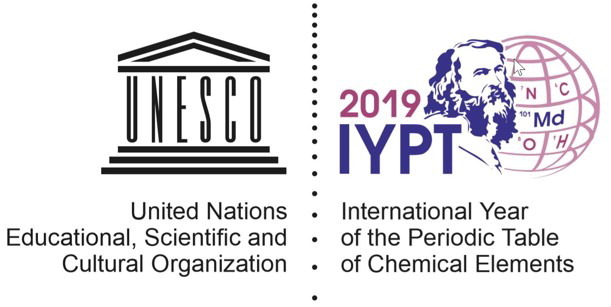 Project partners include IMU (through its Committee for Women in Mathematics), IUPAC, IUPAP, IAU, the International Union of Biological Sciences (IUBS), UNESCO, and several more organizations. The project consists of three parts: a global survey (currently underway with technical and administrative support provided by the American Institute of Physics), a study of publication patterns, and the identification of best practices. For more on the Gender Gap project, visit https://icsugendergapinscience.org/. The International Committee on Space Research celebrates its 60th anniversary in 2018. Learn more about COSPAR's rich history by watching the anniversary video below. COSPAR - 60 years charting the future of space research from COSPAR on Vimeo. The CODATA-RDA Research Science Summer School ran for its second year at the International Centre for Theoretical Physics, Trieste, Italy, from August 6--17, 2018. The school covered the following topics: bio-informatics, climate data sciences, extreme sources of data, and the Internet of Things/big data analytics. The CODATA-RDA Research Data Science Summer School provides training in the foundational skills of Research Data Science. Contemporary research -- particularly when addressing the most significant, transdisciplinary research challenges -- cannot be done effectively without a range of skills relating to data. This includes the principles and practice of Open Science and research data management and curation, the use of a range of data platforms and infrastructures, large scale analysis, statstics, visualization and modeling techniques, software development, annotation, and more. we define 'Research Data Science' as the ensemble of these skills. Find out more about past schools at: http://www.codata.org/working-groups/research-data-science-summer-schools. Watch a video about the Schools of Research Data Science here: https://vimeo.com/232209813. Click on the BISO Infographic to learn more about what we do! The Board on International Scientific Organizations' official Twitter account is your destination for all the latest news on our U.S. national committees and the programs, events, and opportunities they sponsor. This material is based upon work supported by the National Science Foundation under Grant Number 1639931. Any opinions, findings, and conclusions or recommendations expressed in this material are those of the author(s) and do not necessarily reflect the views of the National Science Foundation.